Abbasi, S. M., & Hollman, K. W. (2000). Turnover: The real bottom line. Public Personnel Management, 29, 333–342. Abdul'aziz, I. (2012). 265 schools in Adamawa hold classes under trees. In Daily Trust, http://allafrica.com/stories/201206190188.html (accessed 7th January 2017). Media Trust Limited, Abuja. Abraham, R. (1999). The impact of emotional dissonance on organisational commitment and intention to turnover. The journal of Psychology, 133, 441–455. Adebayo, F. (2017). School enrolment, teacher population on the decline – FG. In Punch Newspapers, http://punchng.com/school-enrolment-teacher-population-decline-fg/ (accessed on the 6th of January 2017), Lagos. Adelabu, M. (2005). Teacher motivation and incentives in Nigeria. Available at http://citeseerx.ist.psu.edu/viewdoc/download?doi=10.1.1.520.26&rep=rep1&type=pdf, retrieved on 7th January 2017. Penn State University, United States. Adelaja, B. (2013). Lagos school where students study under trees. In Vanguard Newspapers, http://allafrica.com/stories/201305080826.html (accessed 7th January 2017). Vanguard Media Limited, Lagos. African Development Bank (2012). Urbanization in Africa. In Championing inclusive growth across Africa. African Development Bank Group, Abidjan, Côte d'Ivoire. Ajadi, T. O., Salawu, I. O., & Adeoye, F. A. (2008). E-learning and distance education in Nigeria. TOJET: The Turkish Online Journal of Educational Technology, 7. Ajayi, S. O. (2013). Influence of personal and organisational factors on teachers turnover intentions in senior public secondary school in Ogun State, Nigeria, Olabisi Onabanjo University, , Ago-Iwoye, Ogun State. Ajayi, S. O., & Olatunji, O. (2017). Turnover causations amongst public high school teachers in Nigeria. Africa Education Review, (Accepted). Akintayo, D. I. (2014). Impact of labour turnover on organisational effectiveness in selected industries in Lagos State, Nigeria. Journal of Institute of Educational Planning and Administration (Ghana), 8, 58–67. Akinyemi, S. (2011). Funding strategies for quality university education in Nigeria: The principle of fiscal justice. Journal of Studies in Education, 1. Akyeampong, K. (2009). Revisiting free compulsory universal basic education (FCUBE) in Ghana. Comparative Education, 45, 175–195. Aluede, R. (2006). Universal basic education in Nigeria: Matters arising. Journal of human ecology 20, 97–101. Baldwin, J. N. (1990). Perceptions of public versus private sector personnel and informal red tape: Their impact on motivation. The American Review of Public Administration, 20, 7–28. Balfour, R., Mitchell, C., & Moletsane, R. (2008). Troubling contexts: Toward a generative theory of rurality as education research. 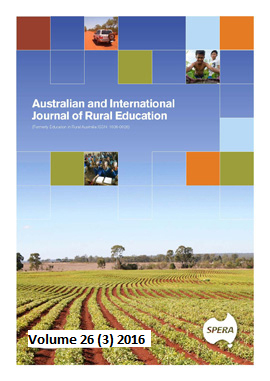 Journal of Rural and Community Development, 3, 95–107. Bennell, P. (2004). Teacher motivation and incentives in sub-Saharan Africa and Asia. Knowledge and Skills for Development, Brighton. Billingsley, B. S. (2004). Special education teacher retention and attrition a critical analysis of the research literature. The Journal of Special Education, 38, 39–55. Blomme, R. J., Van Rheede, A., & Tromp, D. M. (2010). Work-family conflict as a cause for turnover intentions in the hospitality industry. Tourism and Hospitality Research, 10, 269–285. Bruns, B., & Rakotomalala, R. (2003). Achieving universal primary education by 2015: A chance for every child, World Bank Publications. Crossley, C. D., Bennett, R. J., Jex, S. M., & Burnfield, J. L. (2007). Development of a global measure of job embeddedness and integration into a traditional model of voluntary turnover. Journal of Applied Psychology, 92, 1031. Dada, O. M. O. (2013). A sociological investigation of the determinant factors and the effects of child street hawking in Nigeria: Agege, Lagos State under survey. International Journal of Asian Social Science, 3, 114–137. Davies, D., Taylor, T., & Savery, L. (2001). The role of appraisal, remuneration and training in improving staff relations in the Western Australian accommodation industry: A comparative study. Journal of European Industrial Training, 25, 366–373. Delfgaauw, J., & Dur, R. (2008). Incentives and workers’ motivation in the public sector. The Economic Journal, 118, 171–191. Dirks, K. T., & Ferrin, D. L. (2002). Trust in leadership: meta-analytic findings and implications for research and practice. Journal of Applied Psychology, 87, 611. Egan, T. M., Yang, B., & Bartlett, K. R. (2004). The effects of organisational learning culture and job satisfaction on motivation to transfer learning and turnover intention. Human Resource Development Quarterly, 15, 279–301. Evans, L., & Olumide-Aluko, F. (2010). Teacher job satisfaction in developing countries: a critique of Herzberg’s two-factor theory applied to the Nigerian context. International Studies in Educational Administration, 38, 73–86. Ferres, N., Connell, J., & Travaglione, A. (2004). Co-worker trust as a social catalyst for constructive employee attitudes. Journal of Managerial Psychology, 19, 608–622. Giauque, D., Ritz, A., Varone, F., & Anderfuhren-Biget, S. (2012). Resigned but satisfied: The negative impact of public service motivation and red tape on work satisfaction. Public Administration, 90, 175–193. Goddard, R., & Goddard, M. (2006). Beginning teacher burnout in Queensland schools: Associations with serious intentions to leave. The Australian Educational Researcher, 33, 61–75. Goddard, R., & O'Brien, P. (2003). Beginning teachers' perceptions of their work, well-being, and intention to leave. Taylor & Francis (Routledge). Green, A. E., Miller, E. A., & Aarons, G. A. (2013). Transformational leadership moderates the relationship between emotional exhaustion and turnover intention among community mental health providers. Community Mental Health Journal, 49, 373–379. Griffeth, R. W., Hom, P. W., & Gaertner, S. ( 2000). A meta-analysis of antecedents and correlates of employee turnover: Update, moderator tests, and research implications for the next millennium. Journal of Management, 26, 463–488. Hang-Yue, N., Foley, S., & Loi, R. (2005). Work role stressors and turnover intentions: A study of professional clergy in Hong Kong. The International Journal of Human Resource Management, 16, 2133–2146. Hassan, E. M., Hassan, T., & Mabekoje, S. O. (2008). A canonical correlation analysis of the causal relationship between organisational commitment and job satisfaction. International Journal of Multi-Disciplinary Research, 1, 13–24. Helm, S. (2013). A matter of reputation and pride: Associations between perceived external reputation, pride in membership, job satisfaction and turnover intentions. British Journal of Management, 24, 542–556. Heyneman, S. P. (2003). The history and problems in the making of education policy at the World Bank 1960–2000. International Journal of Educational Developmen,t 23, 315–337. Hom, P. W., & Kinicki, A. J. (2001). Toward a greater understanding of how dissatisfaction drives employee turnover. Academy of Management Journal, 44, 975–987. Houkes, I., Janssen, P. P., de Jonge, J., & Nijhuis, F. J. (2001). Specific relationships between work characteristics and intrinsic work motivation, burnout and turnover intention: A multi-sample analysis. European Journal of Work and Organisational Psychology, 10, 1–23. James, I. A., & Clement, L. L. (2013). Turnover intention and organisational commitment and school teachers: Impact of Leadership behavior. Journal of Educational Management, Vol. 9, 106–115. Jegede, O. J. (1999). Science education in nonwestern cultures: Towards a theory of collateral learning. What is indigenous knowledge, 119–142. Kim, S. (2002). Participative management and job satisfaction: Lessons for management leadership. Public Administration Review, 62, 231–241. Kinman, G., & Jones, F. (2008). A life beyond work? Job demands, work-life balance, and wellbeing in UK academics. Journal of Human Behavior in the Social Environment, 17, 41–60. Liu, S., & Onwuegbuzie, A. J. (2012). Chinese teachers’ work stress and their turnover intention. International Journal of Educational Research, 53, 160–170. Liu, X. S., & Ramsey, J. (2008). Teachers’ job satisfaction: Analyses of the teacher follow-up survey in the United States for 2000–2001. Teaching and Teacher Education, 24, 1173–1184. Locke, E. A. (1976). The nature and causes of job satisfaction. Handbook of Industrial and Organisational Psychology, 1, 1297–1343. Markow, F., & Klenke, K. (2005). The effects of personal meaning and calling on organisational commitment: An empirical investigation of spiritual leadership. International Journal of Organisational Analysis, 13, 8–27. Matzler, K., & Renzl, B. (2006). The relationship between interpersonal trust, employee satisfaction, and employee loyalty. Total Quality Management and Business Excellence, 17, 1261–1271. Michaels, C. E., & Spector, P. E. (1982). Causes of employee turnover: A test of the Mobley, Griffeth, Hand, and Meglino model. Journal of applied psychology, 67, 53. Michie, S. (2002). Causes and management of stress at work. Occupational and Environmental Medicine, 59, 67–72. Mitchell, T. R., Holtom, B. C., Lee, T. W., Sablynski, C. J., & Erez, M. (2001). Why people stay: Using job embeddedness to predict voluntary turnover. Academy of Management Journal, 44, 1102–1121. Moja, T. (2000). Nigeria education sector analysis: An analytical synthesis of performance and main issues. The World Bank, Washington, DC. Mulkeen, A., Chapman, D. W., DeJaeghere, J. G., & Leu, E. (2007). Recruiting, retaining, and retraining secondary school teachers and principals in Sub-Saharan Africa. World Bank Publications, Washington D C.
Ndiyo, N. A. (2007). A dynamic analysis of education and economic growth in Nigeria. The Journal of Developing Areas, 41, 1–16. Nigerian National Bureau of Statistics (2016). Demographic statistics bulletin 2015. The Nigerian National Bureau of Statistics, Abuja. Nwauwa, A., & Anyanwu, O. (2007). The policies and challenges of the universal basic education scheme in Nigeria. International Journal of Social and Management Sciences, 1, 114–142. Omotere, A. (2013). An Analysis of the Relationship Between Class Size and Academic Performance of Students. Ego Booster Books, Ijebu Ode, Ogun State, Nigeria. Pomaki, G., DeLongis, A. F., Daniela, S. K., & Woehrle, T. (2010). When the going gets tough: Direct, buffering and indirect effects of social support on turnover intention. Teaching and Teacher Education, 26, 1340-1346. Richardson, W., von Kirchenheim, C., & Richardson, C. (2006). Teachers and their international relocation: The effect of self-esteem and pay satisfaction on adjustment and outcome variables. International Education Journal, 7, 883–894. Shen, J. (1997). Teacher retention and attrition in public schools: Evidence from SASS91. The Journal of Educational Research, 91, 81–88. Smith, B. D. (2005). Job retention in child welfare: Effects of perceived organisational support, supervisor support, and intrinsic job value. Children and Youth Services Review, 27, 153–169. Spector, P. E. (1985). Measurement of human service staff satisfaction: Development of the Job Satisfaction Survey. American Journal of Community Psychology, 13, 693–713. Stromquist, N. P., & Monkman, K. (2014). Globalization and education: Integration and contestation across cultures, R&L Education. Stuit, D., & Smith, T. M. (2010). Teacher turnover in charter schools. Research brief. National Center on School Choice, Vanderbilt University (NJ1). The Organisation for Economic Cooperation and Development (OECD) (2015). Education at a Glance 2015: OECD Indicators. Organisation for Economic Cooperation and Development (OECD). Ugoani, J. N. N. (2013). Work-family-stress and depression among public senior secondary School teachers. Management and Administrative Sciences Review, 2, 670–681. Uko-Aviomoh, E. E., Okoh, E., & Omatseye, B. O. J. (2007). Universal Basic Education (UBE) in Nigeria. An Appraisal, Education, 127, 558–568. Uwaifo, V., & Uddin, P. (2009). Transition from the 6-3-3-4 to the 9-3-4 system of education in Nigeria: An assessment of its implementation on technology subjects. Stud Home Comm Sci, 3, 81–86. Van Schalkwyk, S., Du Toit, D. H., Bothma, A. S., & Rothmann, S. (2010). Job insecurity, leadership empowerment behaviour, employee engagement and intention to leave in a petrochemical laboratory. SA Journal of Human Resource Management, 8, 7 pages. Wagner, W. G., Pfeffer, J., & O'Reilly III, C. A. (1984). Organisational demography and turnover in top-management group. Administrative Science Quarterly, 74–92. Weisberg, J., & Sagie, A. (1999). Teachers' physical, mental, and emotional burnout: impact on intention to quit. The Journal of Psychology, 133, 333–339. Wentzel, K. R. (1998). Social relationships and motivation in middle school: The role of parents, teachers, and peers. Journal of Educational Psychology, 90, 202. Williams, L. J.,& Hazer, J. T. (1986). Antecedents and consequences of satisfaction and commitment in turnover models: A reanalysis using latent variable structural equation methods. Journal of Applied Psychology, 71, 219. Winter-Collins, A., & McDaniel, A. M. (2000). Sense of belonging and new graduate job satisfaction. Journal for Nurses in Professional Development, 16, 103–111.